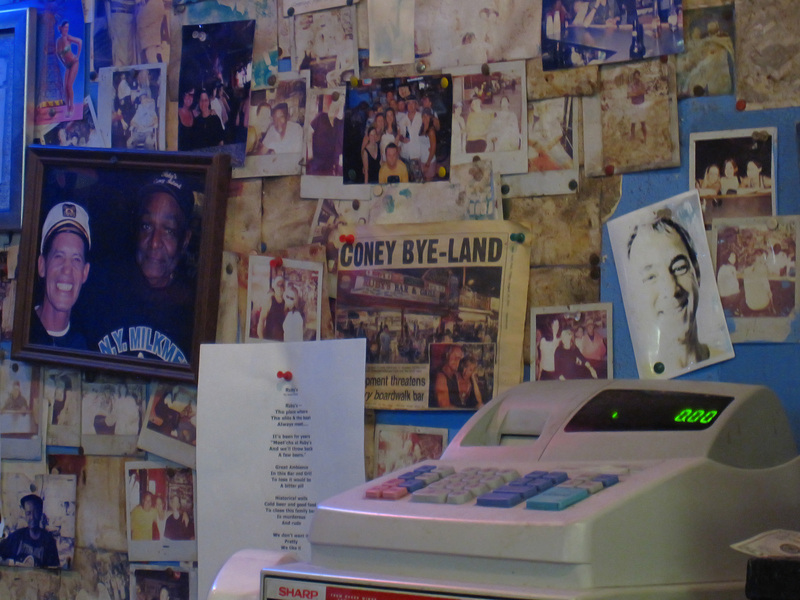 This last Saturday was supposed to be the last day for Ruby's Bar & Grill at Coney Island. 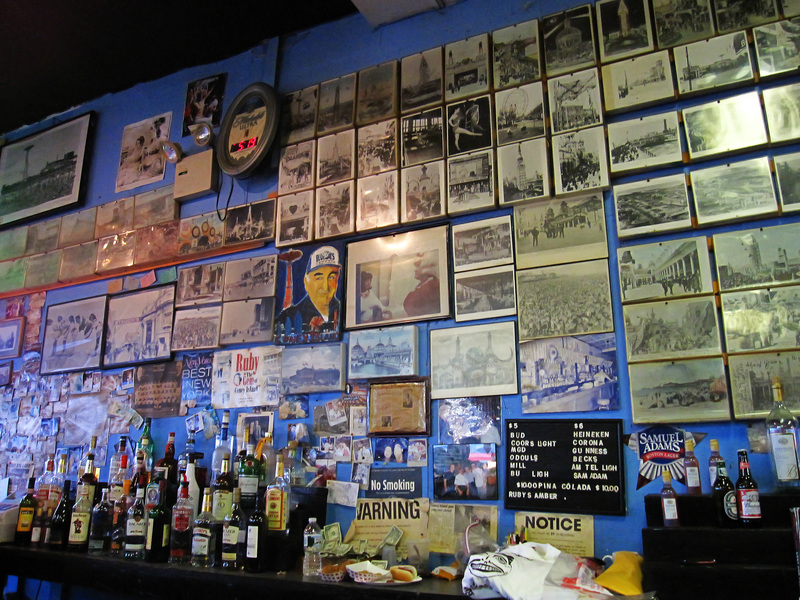 As the demise of Ruby's is symbolic of the last nail in the coffin for all of Coney Island, I felt I had to be there. 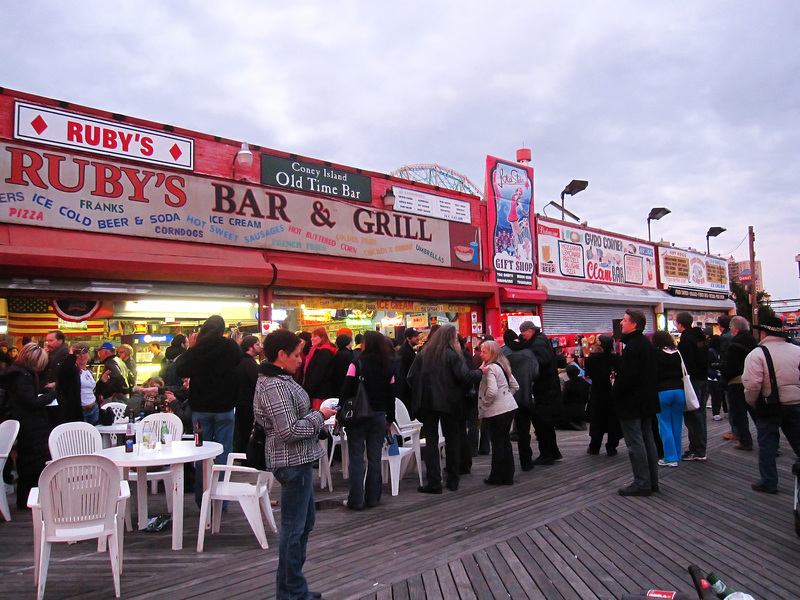 I was happy to see a large crowd gathered outside, despite the cold wind and almost nothing else being open on the boardwalk. 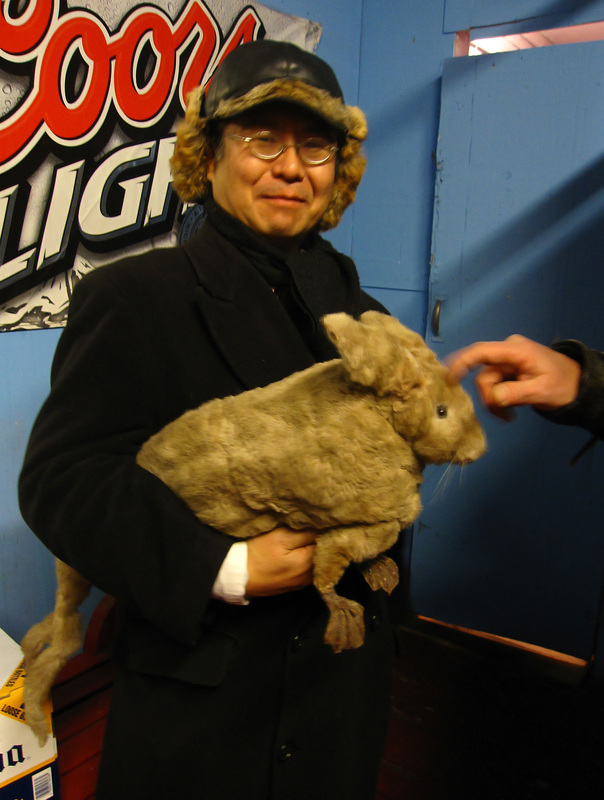 It then dawned on me that I've never been to Ruby's in November, nor without a costume or covered in sand. And, although this was supposed to be a final goodbye, people seemed to be in high spirits. They swore to stay open this day until all the booze was gone. By this time, the only drinks left were Corona, Heineken, peach schnapps and triple-sec. 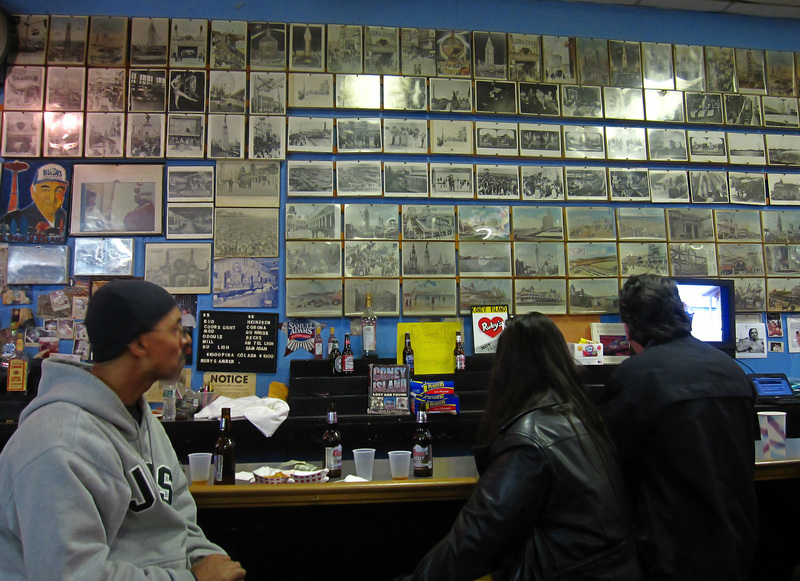 More photos of my evening at Ruby's can be found here. As of today, the situation is still up in the air. Due to huge support from patrons, Ruby's plans to be open this Saturday, November 13. 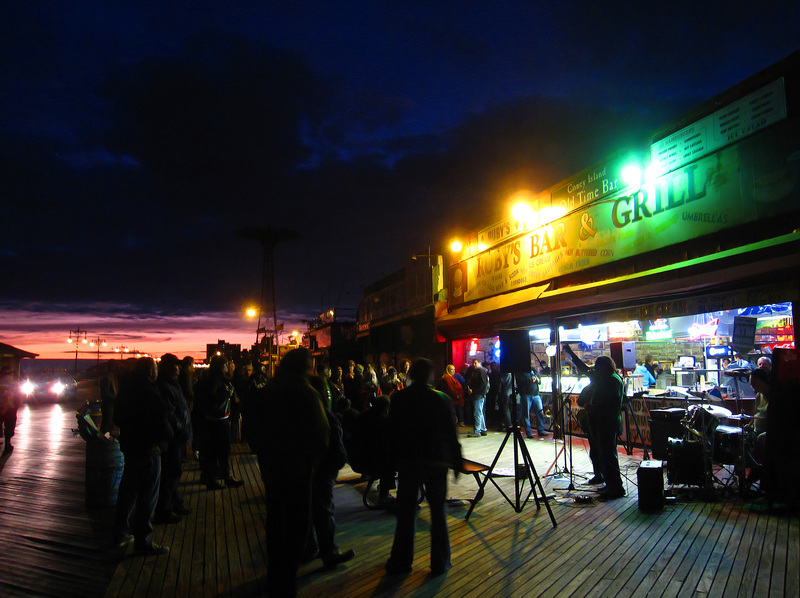 So, don't miss this opportunity to pay a visit and show support for one of Coney Island's most beloved institutions. 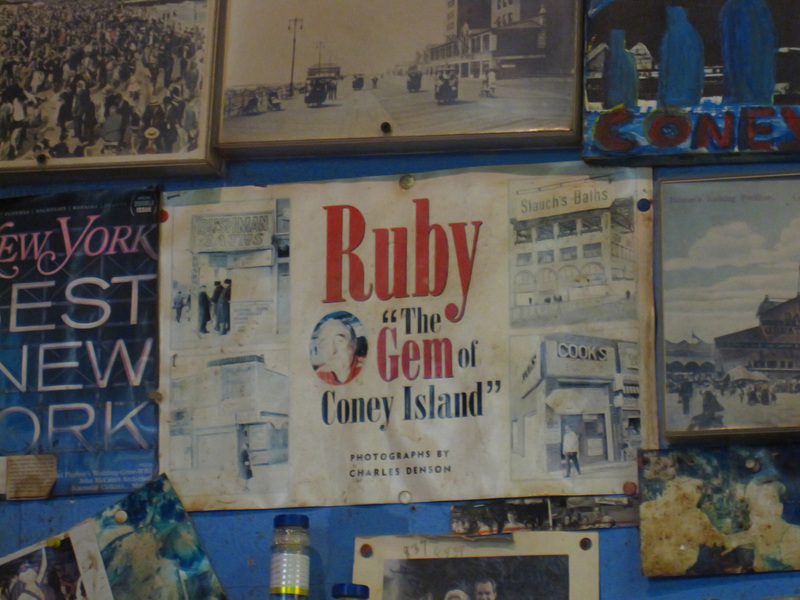 For more history on Ruby's, Coney Island, and to see some good videos of Ruby's daughters speaking about the 'real' Coney Island, check out Amusing the Zillion. UPDATE: A lawyer representing the Coney Island boardwalk businesses says there is no way they are leaving by the 15th. Wow, great photos and that last shot is really beautiful. I hope a miracle happens and they somehow can stay open. so glad that they are fighting back. we got your back guys!! !